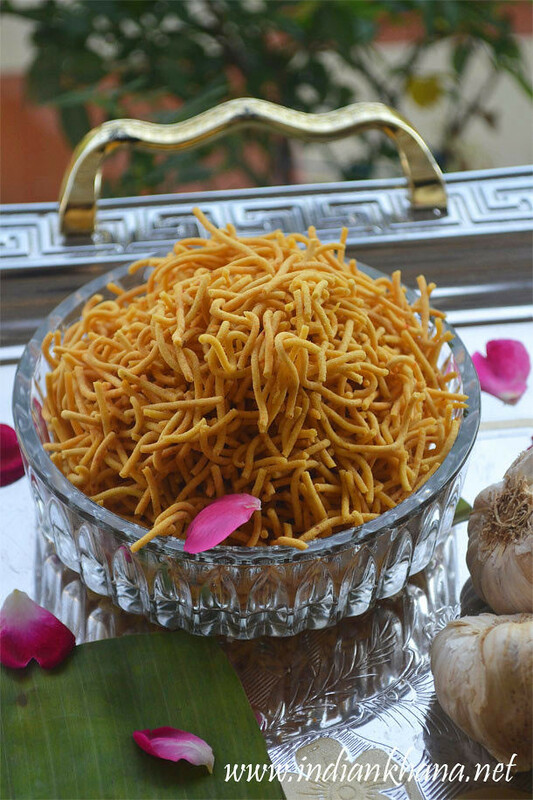 We can do many variations with simple sev recipe and garlic is one of the favourite. 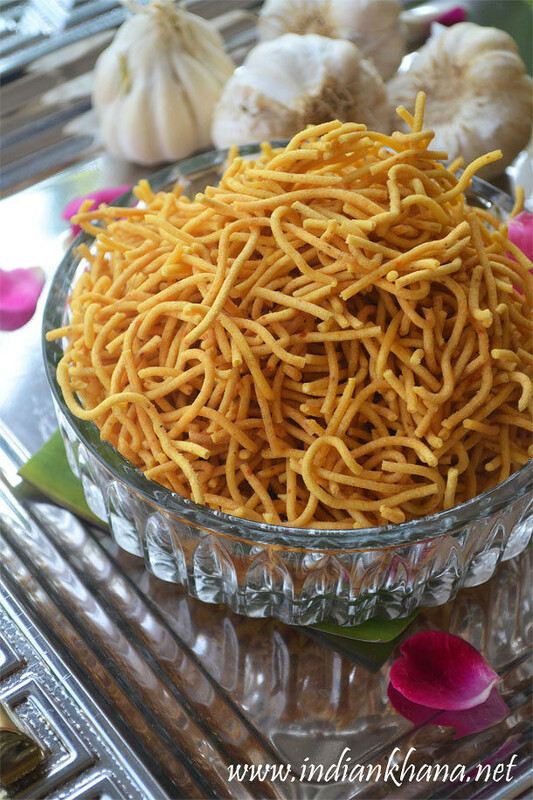 If you want to make kara sev then add little of rice flour along and you have super yummy garlicky kara sev too. 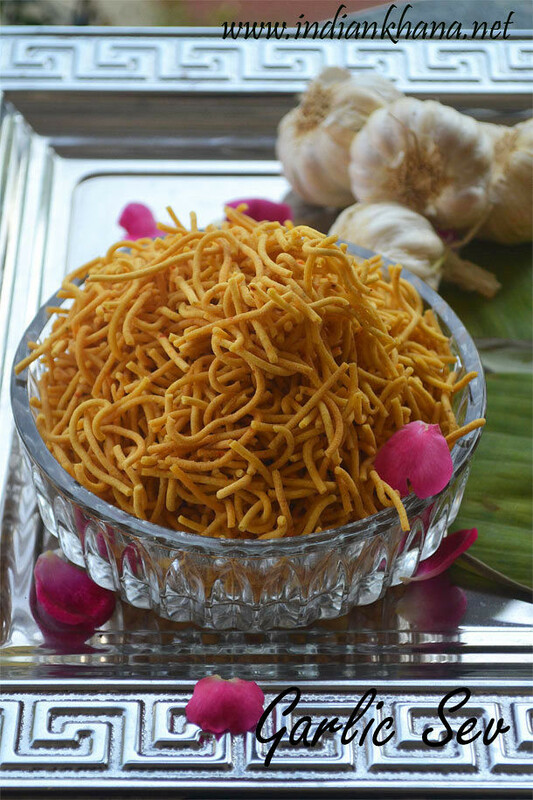 So this Diwali try something different and make these garlic sev for you and family. 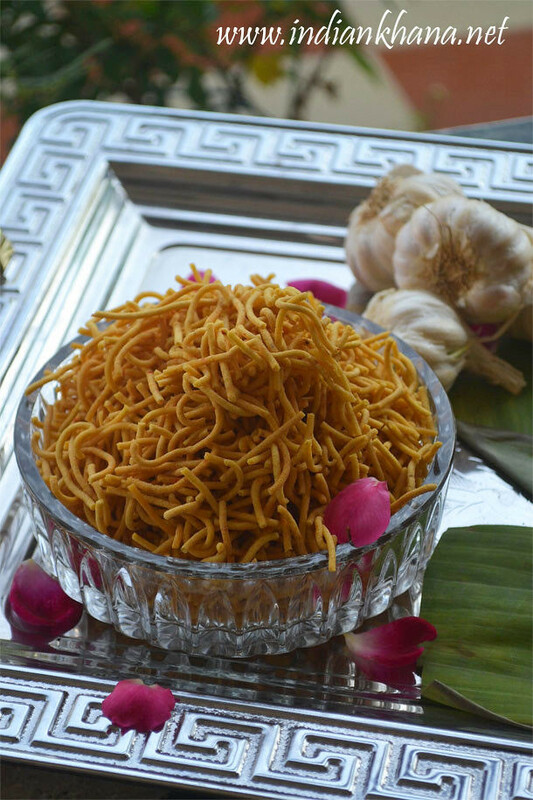 Crunchy Sev with fresh garlic flavor. Peel and paste garlic with little water. I used fresh green garlic and green coriander seeds here that's why you see the paste as green. Roast and crush carrom seeds. In a bowl add all the ingredients except water and oil for frying. Mix well to combine, add water slowly to make smooth dough. 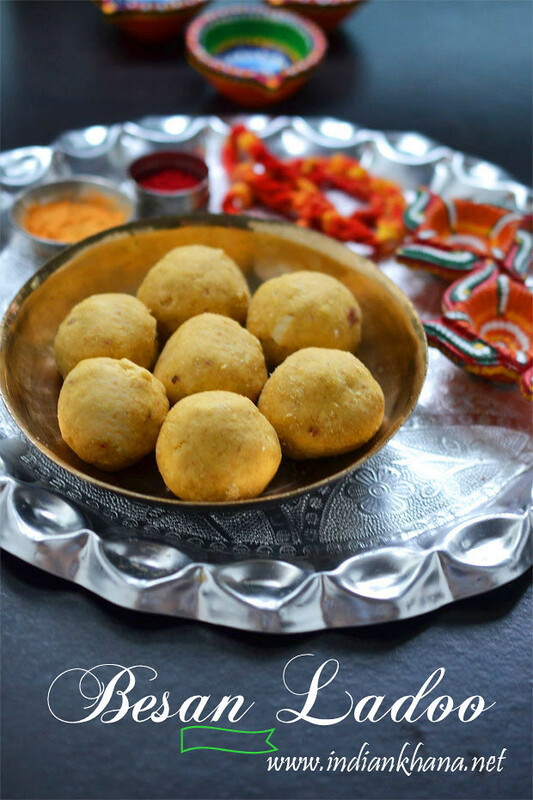 Heat oil in kadai or wok for deep frying and meanwhile Fill the Sev ‘press’ or ‘machine’ with prepare dough using small hole disc/plate as in picture. Press it in hot oil in large single circles [don’t overlap]. Deep fry in medium flame both sides till bubbles ceases. Drain in paper towel & repeat same for rest of dough. Allow to cool completely and break in small pieces if preferred. If stored in air tight containers this can last for months, provided it’s remains by that time ;). 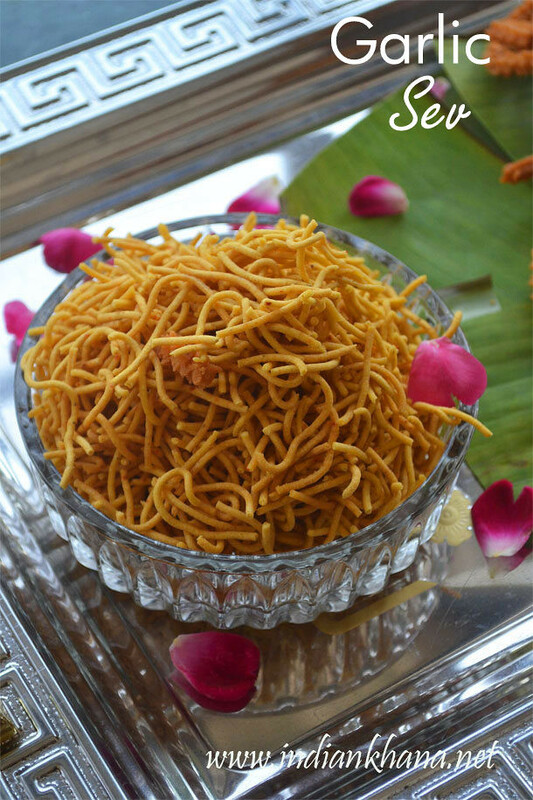 Popular Sev with Garlic twist, enjoy as tea time snack or as festival special.